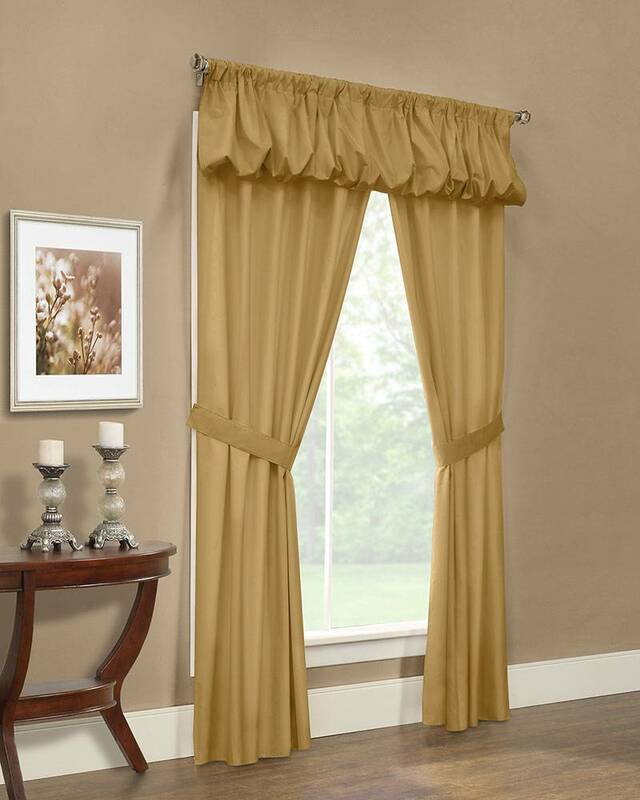 Everything is in one package and mounts on a single curtain rod. 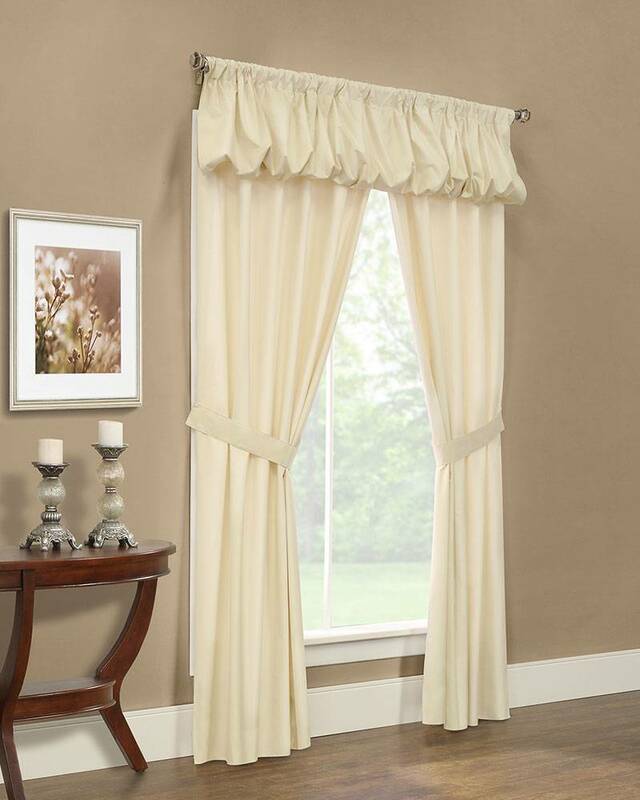 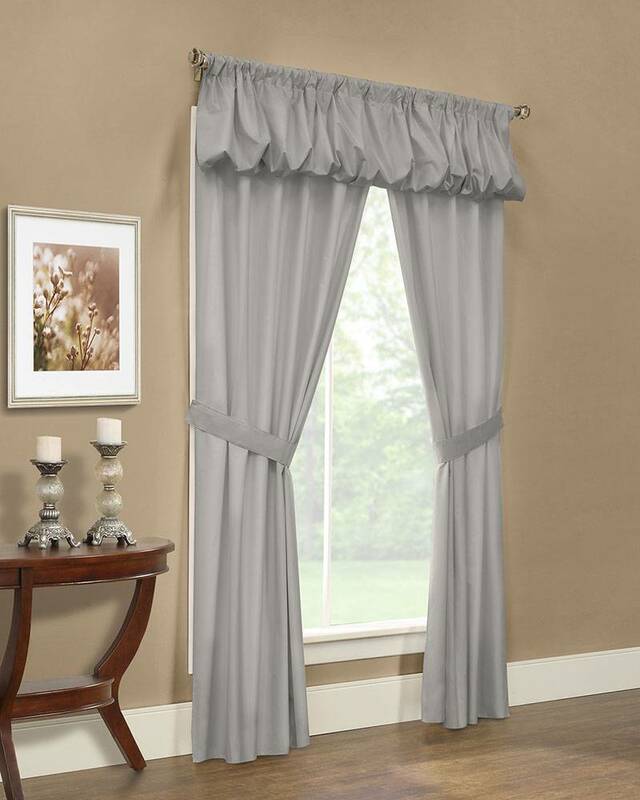 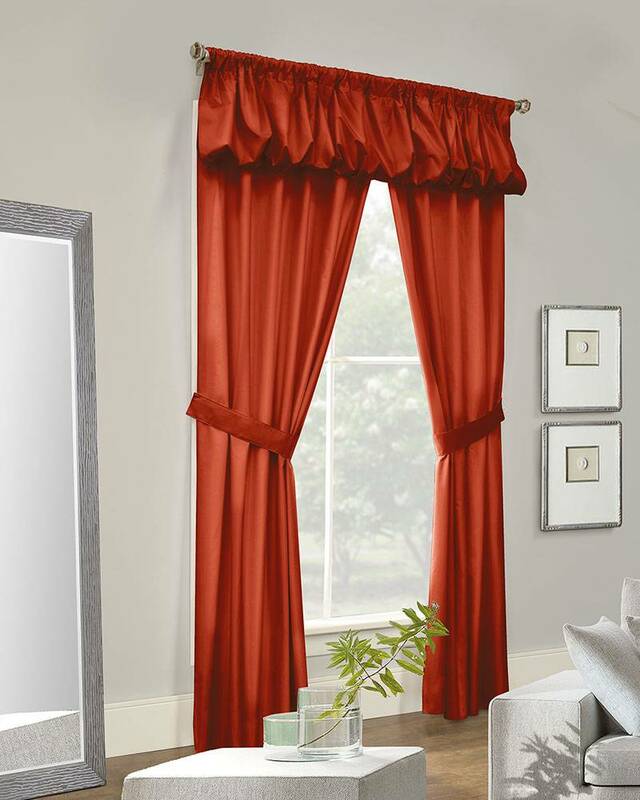 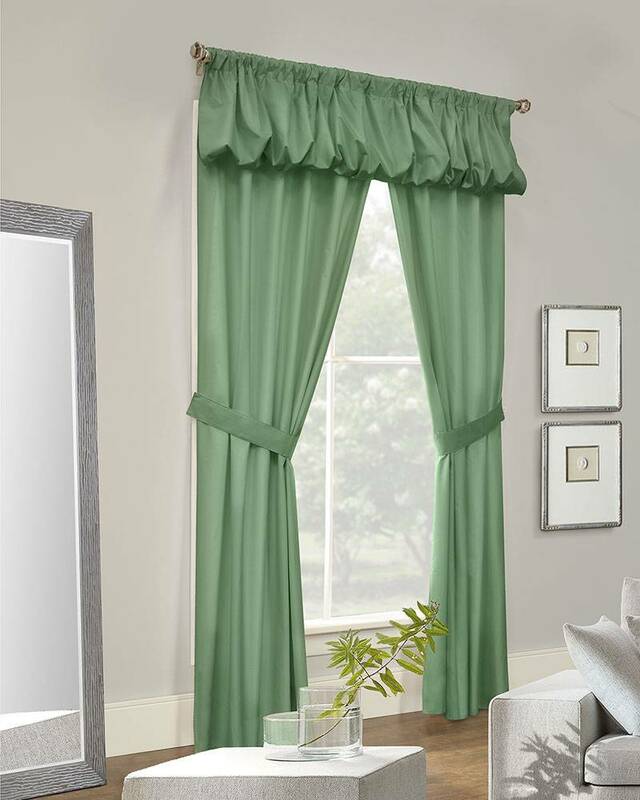 The Commonwealth Prescott 5 Piece Curtain Set includes two curtain panels, with an attached tailored valance across the top, and one pair of tie backs. 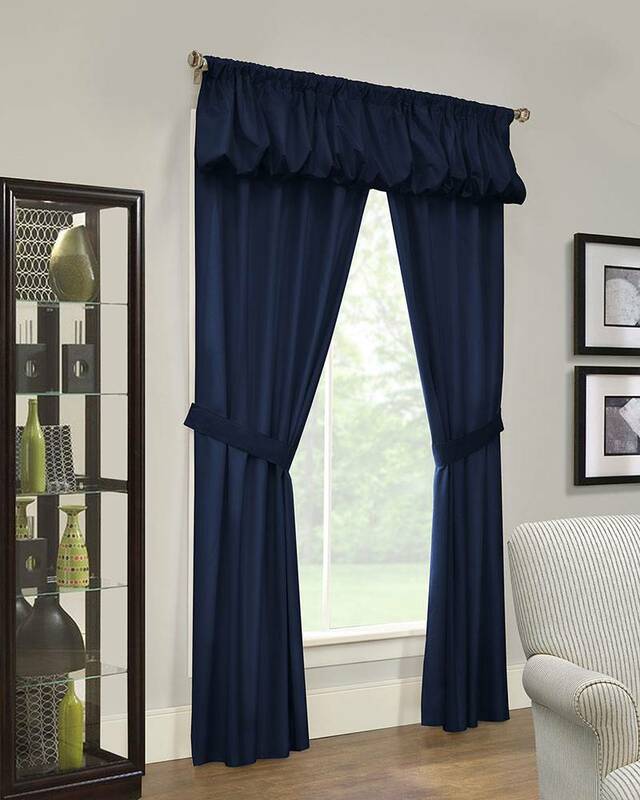 These easy care polyester panels have an energy efficient rayon back that will help keep your home warmer in winter and cooler during the summer. As an added benefit they also have room darkening properties. 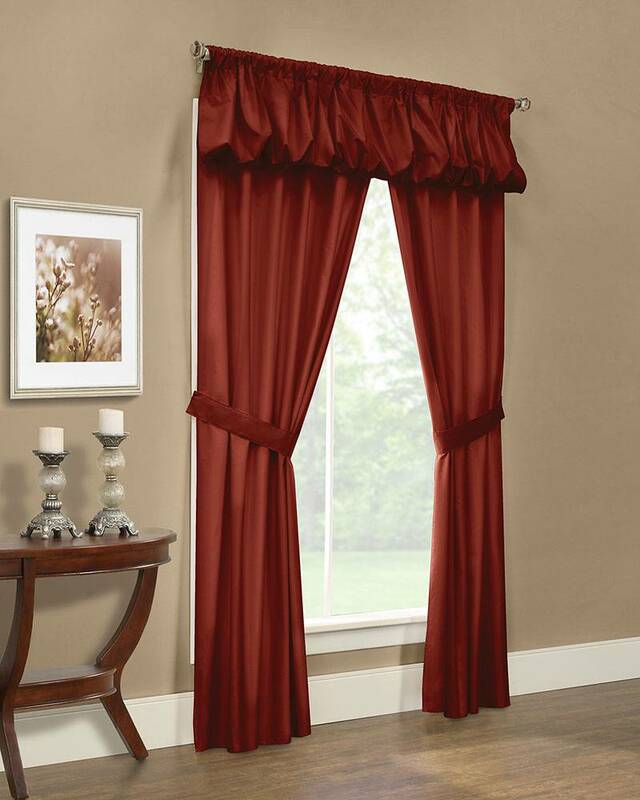 Available in (2) panel lengths and an array of solid color options.